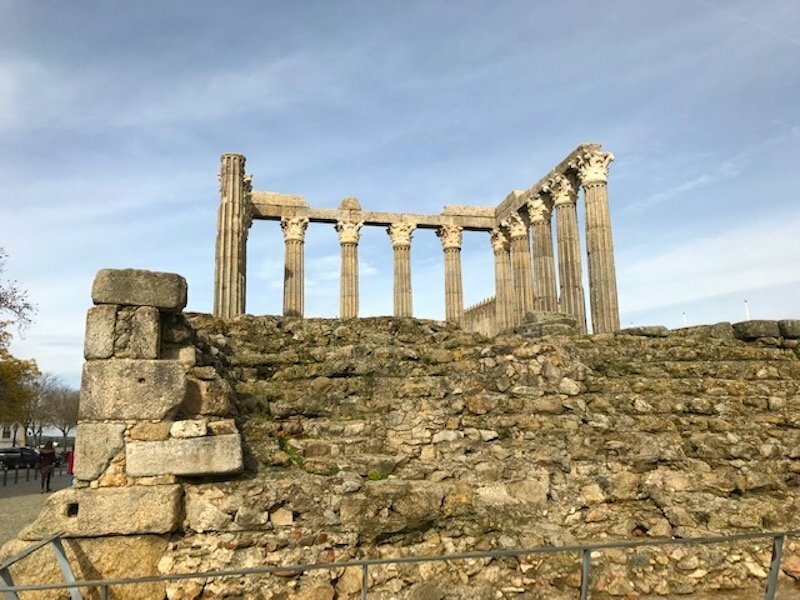 With its Roman ruins, university, and beautiful buildings dating from the 16th to the 18th centuries, Évora is one of the best day trips from Lisbon. The town deserved a selection as a UNESCO World Heritage Site in 1986. 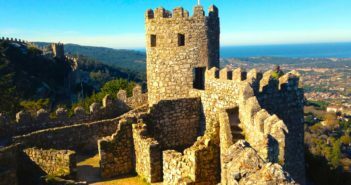 But visiting Évora also gives you the chance to discover the Alentejo, a rural region of unending plains of olive and cork trees, and vineyards. 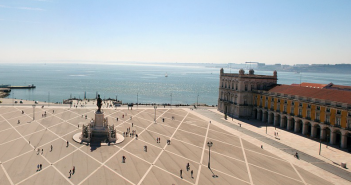 And this can be an opportunity to learn about Portugal’s wine culture. If you want to venture further afield, there are some interesting villages to explore. 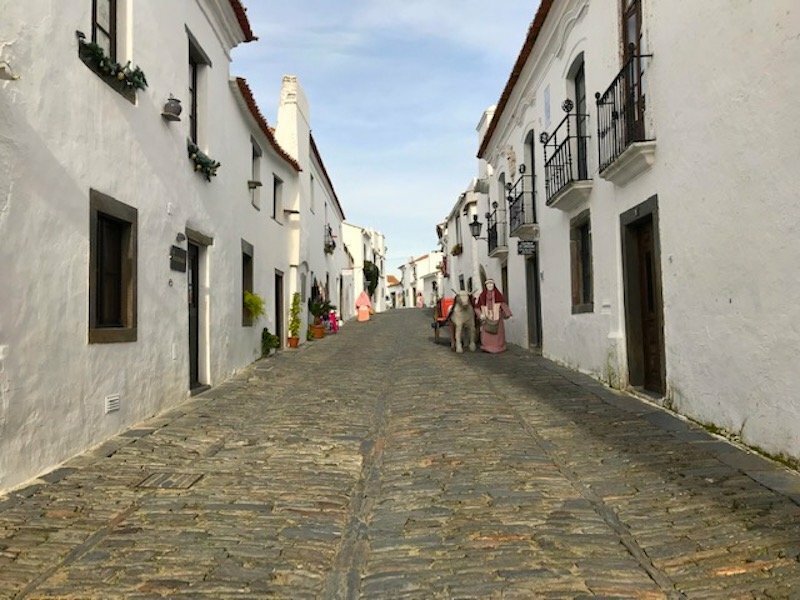 Estremoz, Vila Viçosa and Monsaraz with their medieval castles, narrow streets and white-washed houses, are worth a visit too. 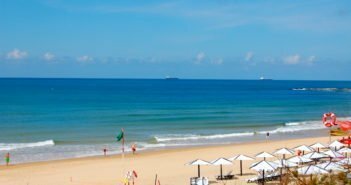 Summers can be really hot in the Alentejo region, particularly July and August with extreme daytime highs (above 30ºC / 90ºF). With that said, the Alentejo and Évora are best enjoyed during spring when flowers are blooming or autumn when the scenery is a combination of dry, golden plains and yellowish-green vines. 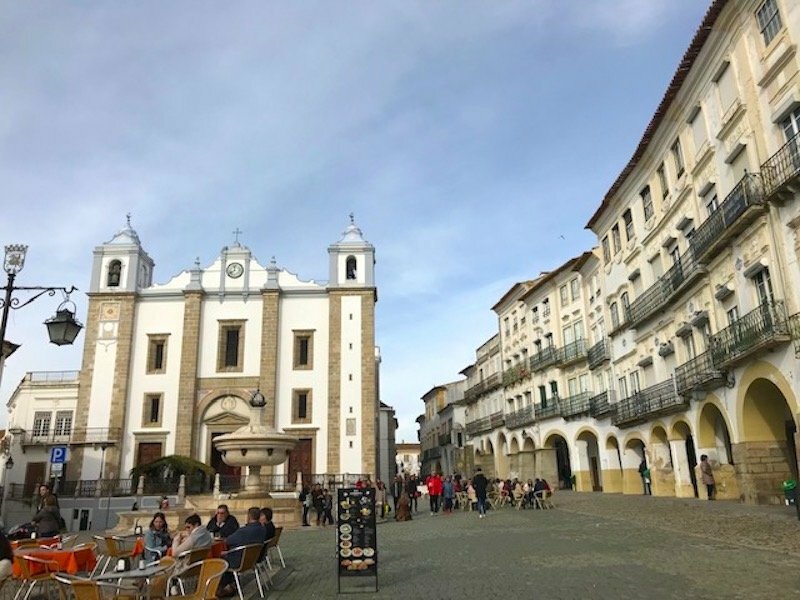 Évora is an easy day trip from Lisbon. 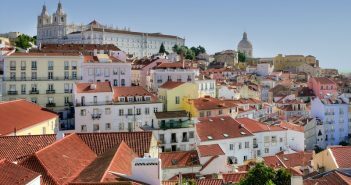 Renting a car can give you the advantage of flexibility, but Évora can also be reached by both bus and train. Évora’s main square is surrounded by arcades, cafés and shops, including a tourist office. It has a fountain completed in 1571 which once supplied water to Évora’s residents. Praça do Giraldo can be your start and end point to explore Évora. 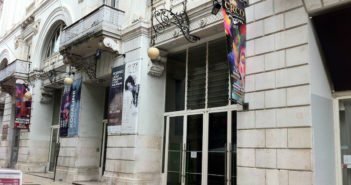 From Giraldo Square, walk east toward the cathedral, a blend of the Roman and Gothic style architecture, erected in the 13th and 14th centuries. You enter through a portal adorned by sculptures of the Apostles. 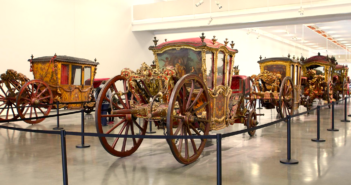 Inside, you can admire the cloister and visit the Sacred Art Museum. The remains of this temple dating from the 1st century were once part of the Roman Forum, and are one of the best-preserved Roman monuments in Portugal. Some archaeologists believe it was an imperial cult temple dedicated to Julius Caesar, instead of the Temple of Diana as it became known from the 17th century to this day. Back to Giraldo Square, walk south toward one of Évora’s most popular (and chilling) sights. Part of St Francis Church, bones and skulls of about 5 thousand people line up the walls of this chapel. This was intended as a reflexion on the transience of human life. 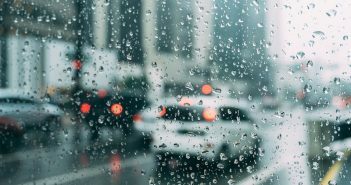 In practice, however, it was the solution found by 17th century monks to move the bones from overflowing graveyards in the area, and give the free space other uses. Though macabre, the overall effect is definitely impressive. Adega Cartuxa is one of the wineries closest to Évora. It offers a tour providing information about the winery and a tasting. A bit further away, Herdade do Esporão in Reguengos de Monsaraz and João Portugal Ramos Vinhos in Estremoz are two other good wineries to choose from. You’ll need to make reservations in advance. Iberian Peninsula’s largest megalithic monument is 13 kilometres / 8 miles west of Évora. Erected between the 6th and 5th centuries B.C., it was only discovered some 50 years ago. The site consists of about 100 granite monoliths forming a ring of prehistoric standing stones (called a cromelech) set in a landscape of olive and cork trees. Because of its importance, some call it the Portuguese Stonehenge. 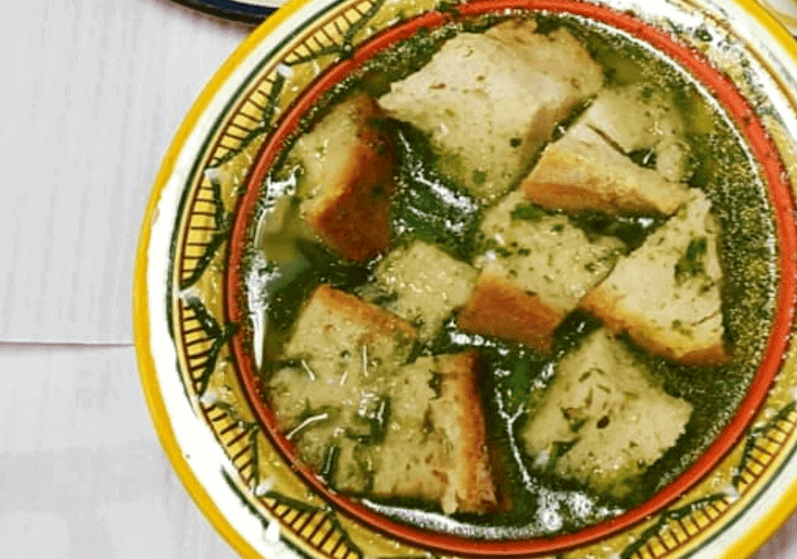 açorda: a kind of broth with water, garlic, eggs, olive oil, coriander, and bread, the key ingredient. An açorda might accompany meat, codfish, hake or grilled sardines, or it can be the main dish when meat or seafood are added to it. soup: tomato, purslane, bacon (toucinho) and fish (cação) are eaten in the Alentejo region. doces conventuais (conventual pastry): Portuguese pastries are to die for. Egg, almond, honey and sugar based, try a queijada de Évora or the pão de rala in a restaurant or at the century-old patisserie Pastelaria Violeta (Rua José Elias Garcia 47). If you want to see more of the Alentejo region, a few interesting villages are an easy visit from Évora by car. Estremoz is known for its white-washed houses, medieval castle, vines, olive trees, and marble. 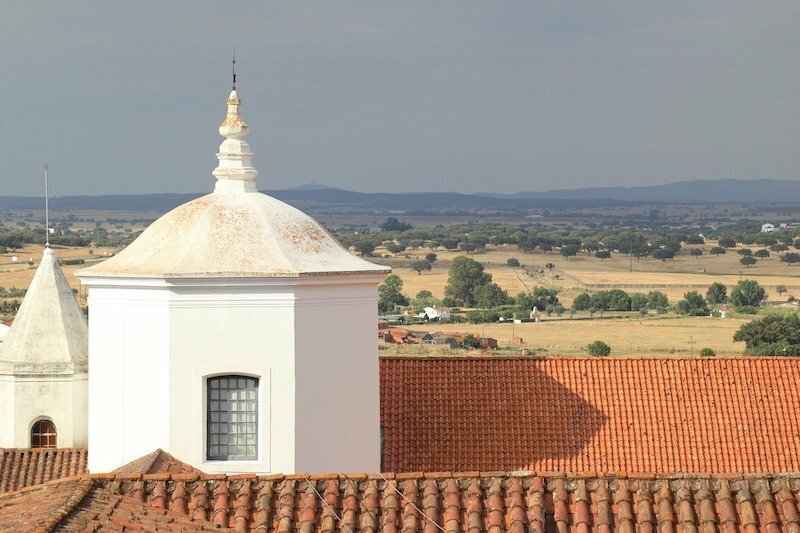 From the castle, you get stunning views of the Alentejo countryside. 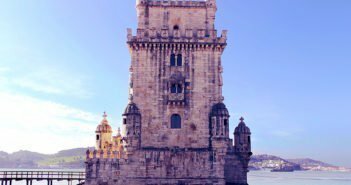 Vila Viçosa, also known for its marble, has an impressive Paço Ducal (Ducal Palace), a medieval castle dating from the 13th century, a few churches and small museums. Monsaraz, perched high with its narrow streets and white houses, is perhaps the most popular of the Alentejan villages. If you have some time left, take a cruise on the Alqueva dam, Europe’s largest artificial lake. Alqueva Cruzeiros offers boat trips from the pier near Monsaraz. Call ahead for departure times. Staying in a nice hotel is a reward after a long day of sightseeing. Vila Galé Évora: A few minutes walk from Évora’s old city walls, Vila Galé Évora offers modern rooms, spa and heated indoor pool and outdoor pool. L’AND Vineyards: Close to the village of Montemor-o-Novo, L’AND Vineyards offers complete serenity among vineyards in a building of unique architecture. Stay at the sky suite if you can. With an opening ceiling above the bed, here’s your chance to fall asleep underneath the stars. The hotel offers indoor pool, sauna and outdoor pool, as well as a Michelin-starred restaurant. Pousada Castelo de Estremoz: In the village of Estremoz, you can stay in the former castle built for Queen Santa Isabel in the 13th century. Decorated in 18th century style, it offers the stunning views of the Alentejo landscape from its gardens and outdoor pool. Alentejo Marmoris Hotel & Spa: In the village of Vila Viçosa, Alentejo Marmoris is a magnificent palace hotel. It offers indoor and outdoor pools, spa, and a restaurant that serves an modern interpretation of Alentejan cuisine.